These are a few of the dreams and hopes we see in the eyes of our fellow human beings. To realise these dreams one needs financial assistance. dreams a reality and have firmly believed and supported them. 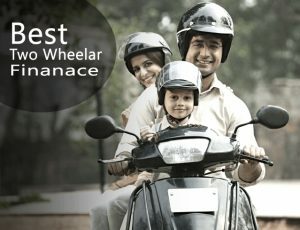 Bazaari Finance offers a bouquet of secured products and services, in the space of Two-wheeler loans as well as small-enterprises loans for income generating activities. We provide easy and timely accessibility of funds on simple terms and procedures and at a reasonable interest rate. We take pride on offering prompt disbursement of funds, recognizing the urgency of our customer’s needs. We give interest rate rebate to our customers upon timely repayment of their loans and in order to encourage women borrowers we give loan to them at a concessional interest rate. We believe that with our initiative of supporting these Small Entrepreneurs, we can play an important role in sustenance and scaling up of their businesses. Such enterprises play a pivotal role in the development of Nation by promoting livelihood and job creation. Even the Two-wheeler loans we do are used by our loan clients to support their livelihood. Lending to these classes in particular assumes a lot of importance as the credit is to be given to those classes which have to be understood and assessed from various perspectives of creditability in absence of proper and systematic credit documents, but commendable credit worthiness. We, at Bazaari Finance, continuously strive to provide innovative products that match our customers’ requirements and expectations. As part of our Knowledge and Dissemination Group, we benchmark such customer satisfaction goals via periodic surveys and assessments. © Copyright 2018 Bazaari Finance. Developed By WEB TECH DESK.